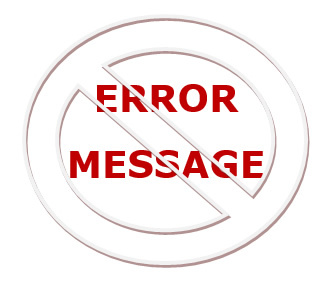 The last message you want to appear on your screen when you launch your software program is an error message. You have worked hard to get your software product working almost to perfection in one language. And, if you are living in the USA, that language is probably English. But what about European languages? Or Asian? How well would your software work in those languages? If you are new to software localization, the following might interest you. Not your first foray into localizing your software? Skip to the bottom of the page to find out how Translations ABC can help you bring your software to the world. English, an ASCII-based language, requires 128 specified characters. Great! Only 128! But all other languages require more—more characters, more space, different formatting, even a different direction. The challenge: your software must run as well in other languages as it does in English. How? First, two must-know definitions. "Internationalization is the process of generalizing a product so that it can handle multiple languages and cultural conventions without the need for re-design. Internationalization takes place at the level of program design and document development." So, internationalization begins during the planning stage of software development. Ensure your software is internationalized. The longer you wait during the development process, the more complicated—and expensive—it becomes. Ensure your developers go through [and pass] an internationalization checklist before checking in their code to the main branch. Check the Web for an internationalization checklist based on your platform. If you need assistance internationalizing your software, there are specialists able to help you. Remember: the earlier any issue is found, the less expensive it is to fix it. Great! Your software is fully internationalized. This is where Translations ABC steps in and takes care of the rest of the world for you. "Localization involves taking a product and making it linguistically and culturally appropriate to the target locale (country/region and language) where it will be used and sold." Remember: a full locale includes the language and country code, and it supports alternate spellings, date formats, and other differences between two countries with a shared language. Translations ABC has been providing translation and localization services for over 27 years. We have compiled a database with over 4,000 professional linguists with advanced degrees and/or certification. Our linguists do not make it into our database until we personally and rigorously screen them for linguistic ability, knowledge expertise, and professionalism. This results in two distinct qualities that Translations ABC holds above most of the other translation service providers: both clients and linguists prefer working with us. 97% of our clients stay with us: so do our linguists. We treat them all with respect. If you want to enjoy the deeply satisfying experience of true customer satisfaction working with professionals just like you, contact Translations ABC. We will become your go-to language service provider.